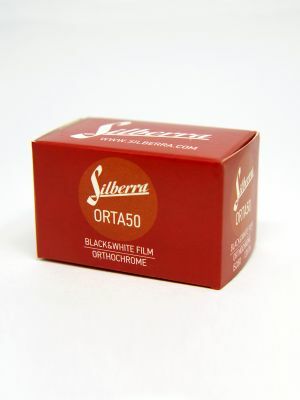 Silberra ORTA50 is hi-res B&W orthochromatic film; it was designed for optical printing and can be processed at the same red light as used to process photo papers. Due to comparatively high sensitivity of the film make sure that safe light is far enough: whatever is the spectre of the light, the power of the light source counts also. Constant agitation for the first 30 seconds of the first minute and then 5 seconds at the start of each following minute.